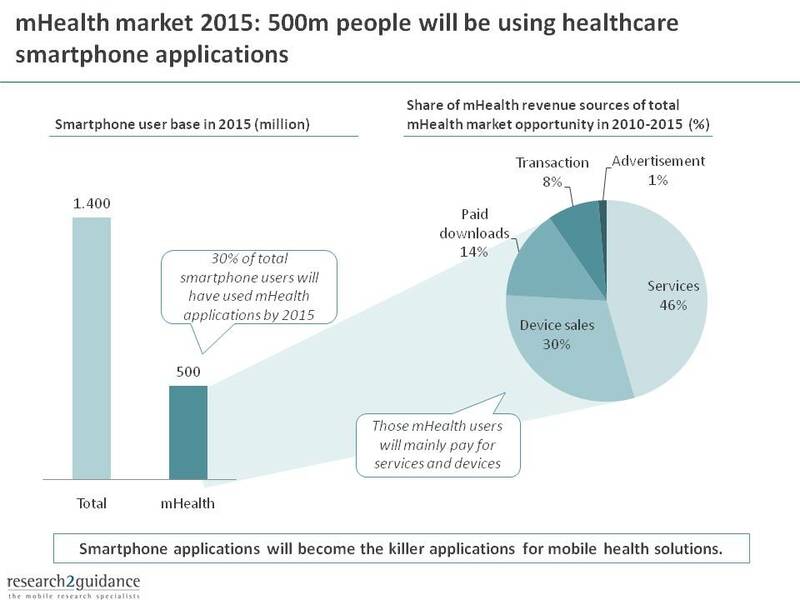 Over half a billion smartphone users will use healthcare mobile application by 2015, according to a new report published by research2guidance. The report titled “Global Mobile Health Market Report 2010-2015” predicts that over one third of all smartphone holders (1.4 billion people) will be using mHealth solutions in five years time. The report notes that (43%) of mHealth applications are primarily designed for healthcare professionals. These include CME (Continued Medical Education), remote monitoring and health care management applications. Today, some 17,000 mHealth applications are offered in major app stores, 74% of them adhering to the paid business model. The report predicts that future business models will include healthcare services, sensor, advertising and drug sales revenues.